Our Clients | Talent Group, Inc. Talent Group, Inc. is celebrating 31 years of service to the creative industry. Over the years we have earned a reputation for being attentive, responsive, expedient and thorough. 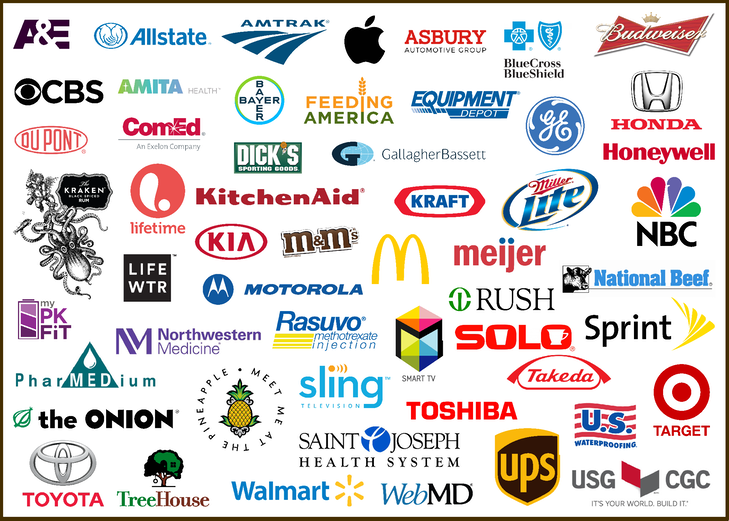 Here are just a few of the clients we have had the privilege of providing high quality professional non-union talent for commercials, industrials, print assignments and live performances. *All logos appearing on this page are trademarks of the companies that they represent.